Authentic Recreation of TV’s Jeopardy game show redesigned for team play! 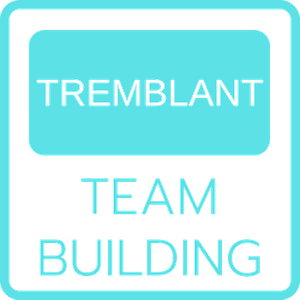 Team Jeopardy is an authentic recreation of the time-tested, perennially popular television game show complete with the big board, theme song, sound effects, hidden daily double, final jeopardy round, and all in a fully customizable format! Trivia questions can be customized around a mix of pop-culture categories/questions and there’s an option to include some of the client's product knowledge questions/answers mixed in. This event has be designed for teams (versus just three individuals in the TV version) to play and each team will represent one section of the larger audience so everybody has a team to root for! As members of each team rotate up to the podium at the beginning of each question to represent their team and audience section, they attempt to win control of the board by out-answering the other team's players. The team that controls the board gets to select the next question. Team play and engagement while also great fun and entertainment for the audience!